Few novelists have conveyed the subtleties and nuances of their own social milieu with the wit and insight of Jane Austen. Through her vivacious and spirited heroines and their circle, she painted vivid portraits of English middle-class life as the eighteenth century came to a close. 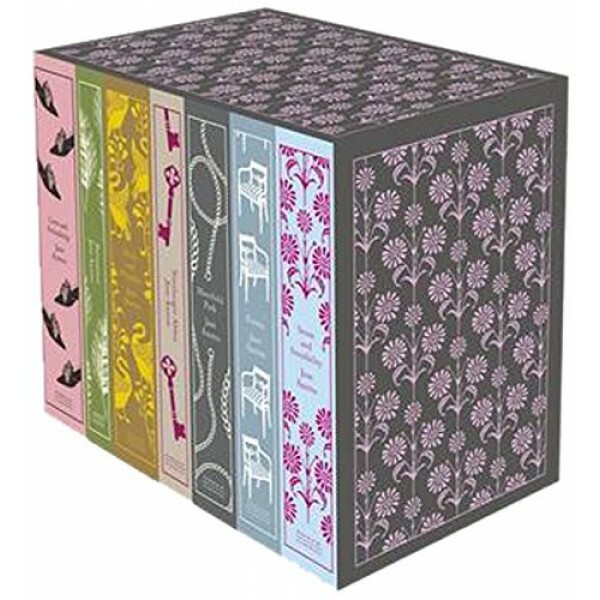 Each of these novels is a love story and a story about marriage -- marriage for love, for financial security, for social status. But they are not mere romances. Ironic, comic, and wise, they are masterly studies of the society Austen observed. 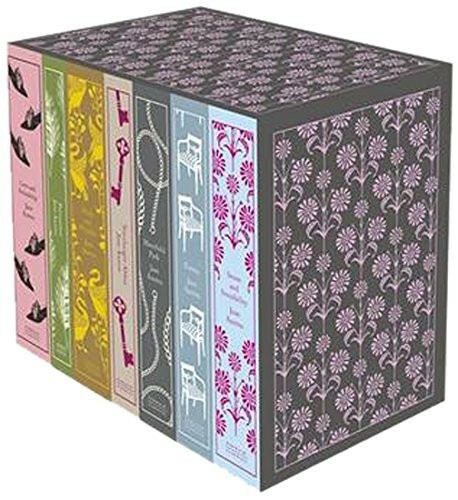 The seven books in this box set -- Sense and Sensibility, Pride and Prejudice, Mansfield Park, Emma, Northanger Abbey, Persuasion, and Love and Friendship (early writings and juvenilia) -- contain some of the most brilliant, dazzling prose in the English language. 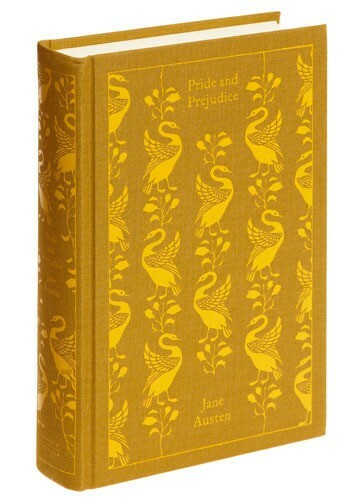 Part of Penguin's beautiful Hardcover Classics series, designed by the award-winning Coralie Bickford-Smith, these delectable and collectible editions are bound in high-quality, tactile cloth with foil stamped into the design.